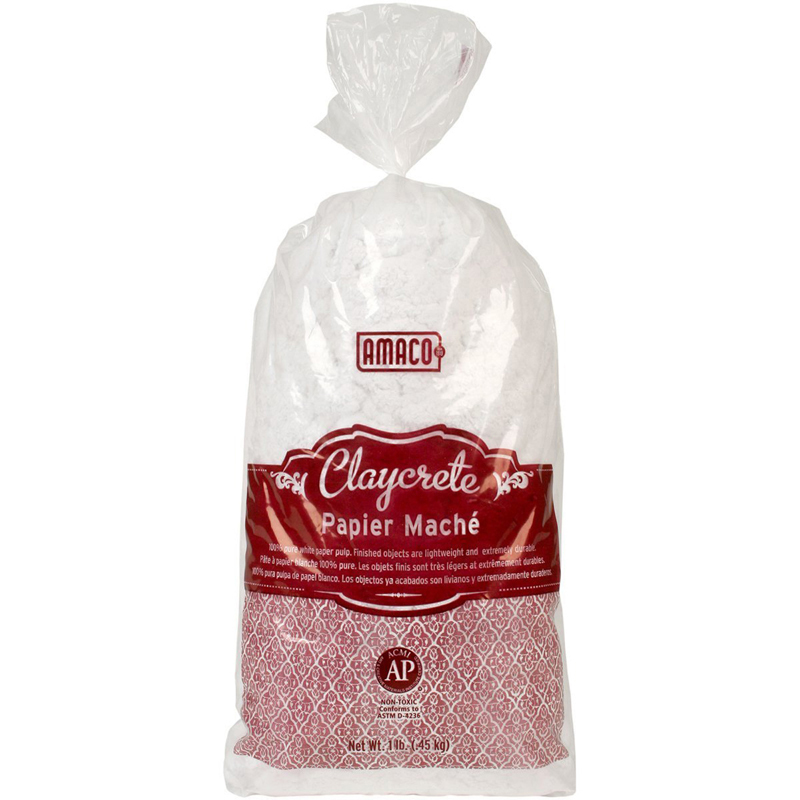 An exceptionally white papier mache that's easy to prepare and model. 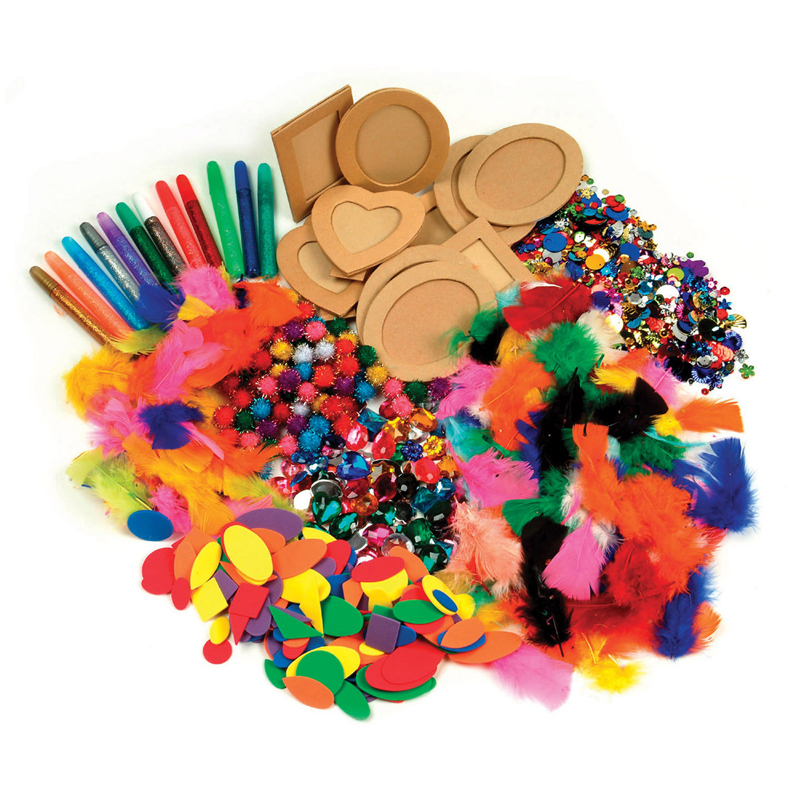 Ideal for use with WireForm® products. Pure white and dries white. It's easy to prepare, easy to model, very economical, and exceptionally white when dried at room temperature. Finished projects are very lightweight. 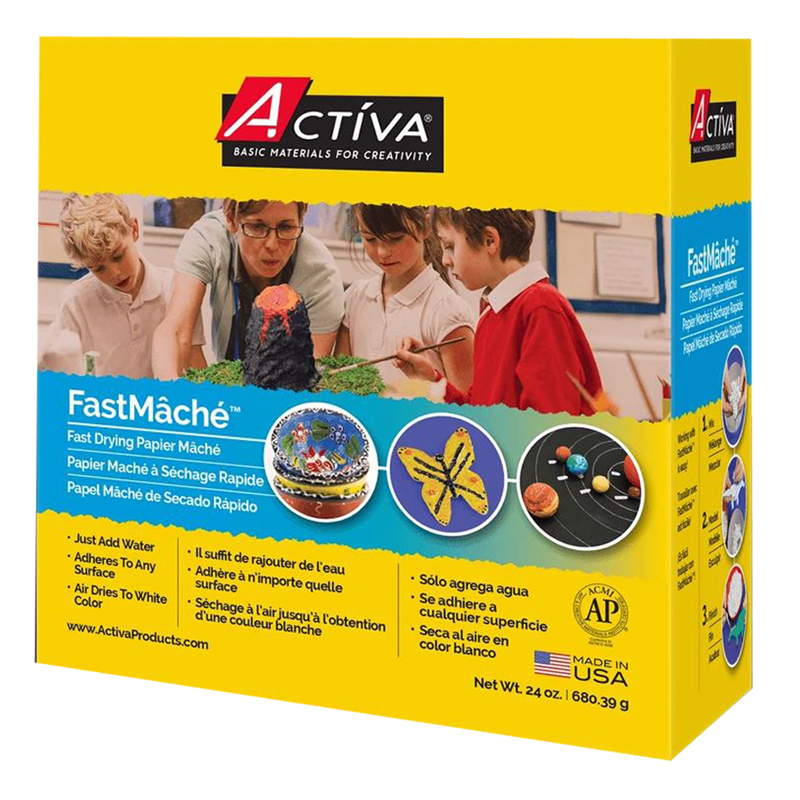 Claycrete® is non-toxic, comes in powder form, and mixes with water to form a paste. Shake the closed bag first to thoroughly blend the ingredients before using. 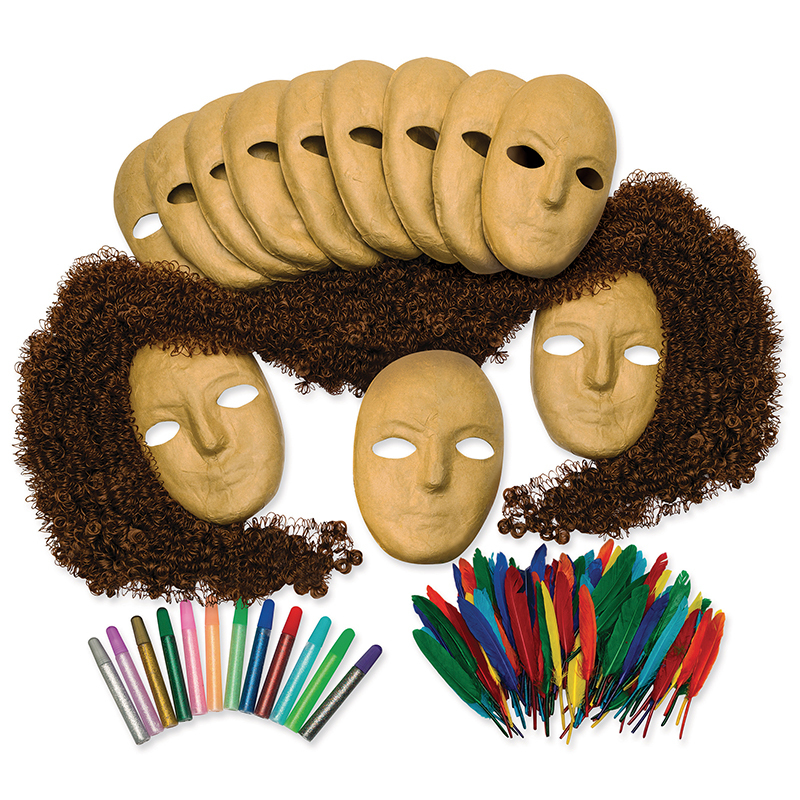 When in paste form, it is modeled or applied over an armature. Claycrete® starts setting up in 30 minutes, then detailed modeling can be done. Additions will stick to the form without any problem, because it will cling to any clean surface, but will not stick to the hands. 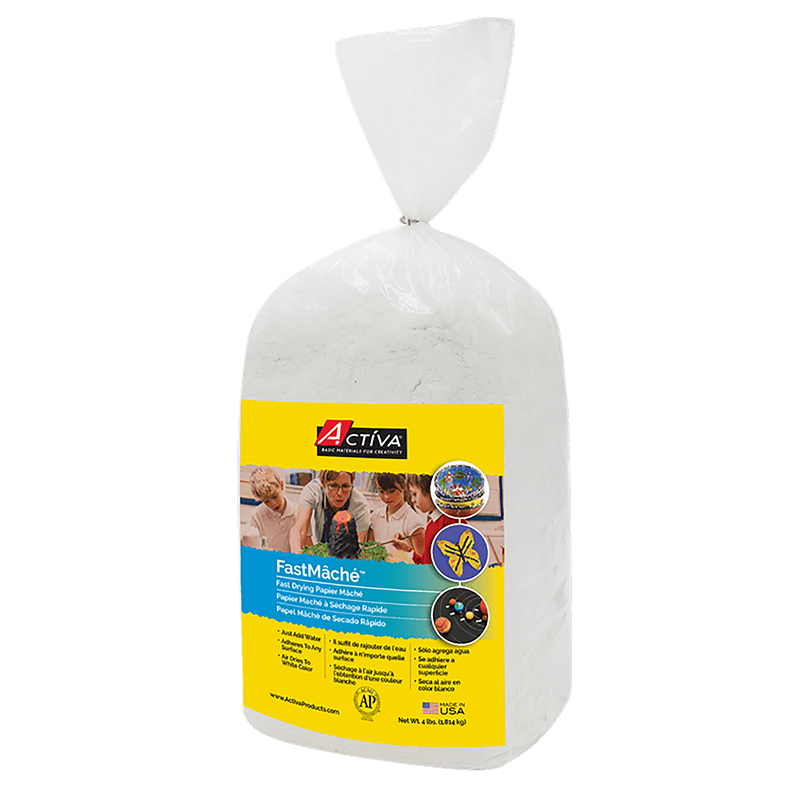 One pound of Claycrete® will make 97.5 cubic inches or 18 bags will make 1 cubic foot of solid material. 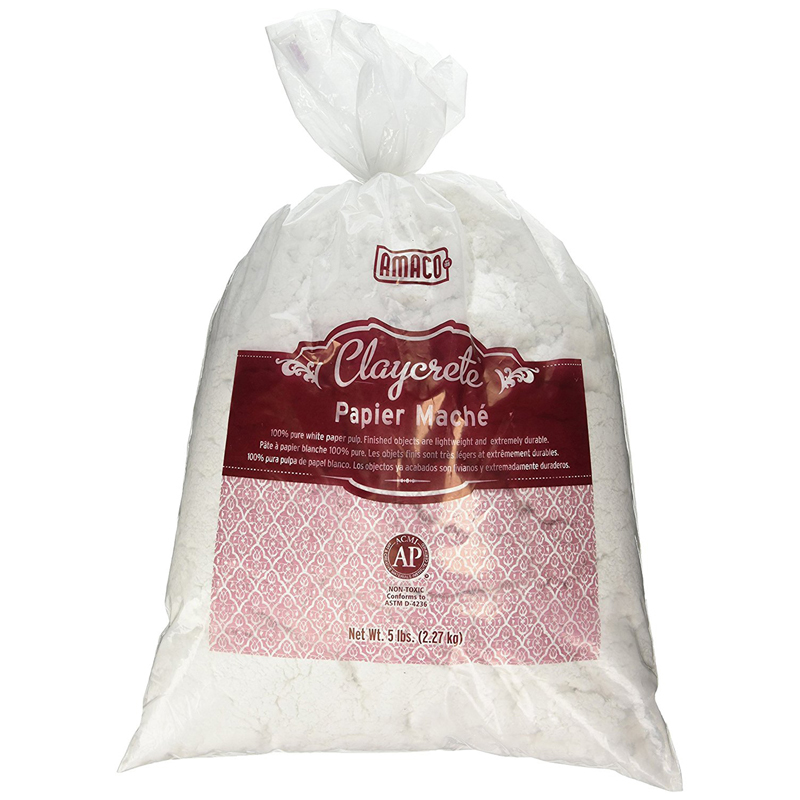 The Claycrete Instant Papier Mache5lb Bag can be found in our Paper Mache product category within the Arts & Crafts.